Public rally in support of Oleg Sentsov, Kyiv. Photo: NurPhoto / SIPA USA / PA Images. All rights reserved.On 13 July, Oleh Sentsov turned 42. 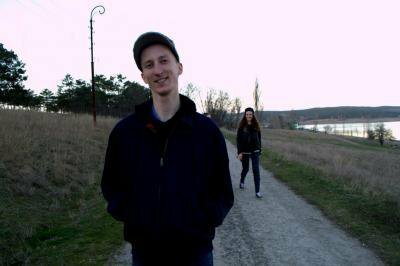 He is currently on hunger strike in a prison colony in the Russian town of Labytnangi, beyond the Arctic Circle. I heard about this place only after Sentsov was imprisoned there. He is being kept alive on an IV of glucose and amino-acids, which is an especially dangerous method that could result in his death at any moment. 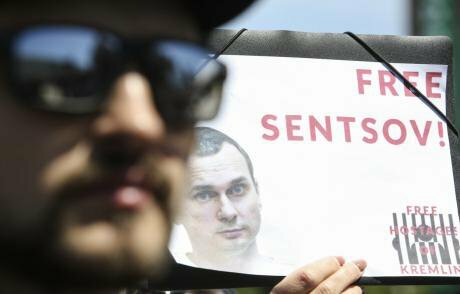 If Sentsov survives, it is almost certain he will be an invalid for the rest of his life. Oleksandr Kolchenko, date unknown. There is real terrorism in the world, the kind that is directed against unarmed and peaceful people by ISIS fighters who drive into crowds of people with trucks, by Russian army units who fire Grad rockets into the residential neighbourhoods of the Ukrainian city of Mariupol. Translated by Marko Bojcun from Social Movement’s website.